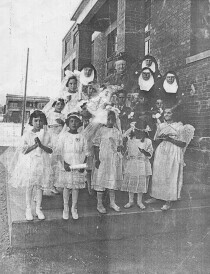 Catholic Bishop Anthony Schuler with Nuns and school children at Holy Familly Parish in El Paso, Texas. 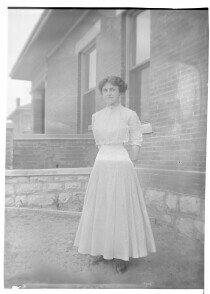 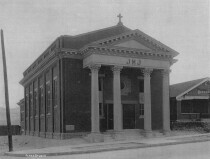 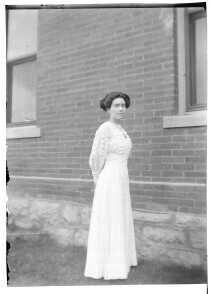 This lady is believed to be Mrs. J.W. 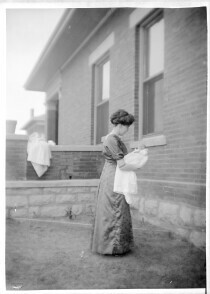 Lorentzen. 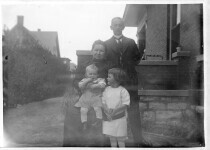 She is standing next to the house at 521 Randolph Dr.
Mrs. Lorentzen and her young baby are outside the home at 521 Randolph Dr. 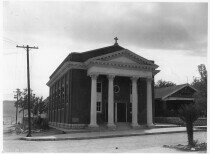 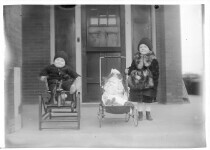 The children are on the porch at 521 Randolph Dr. 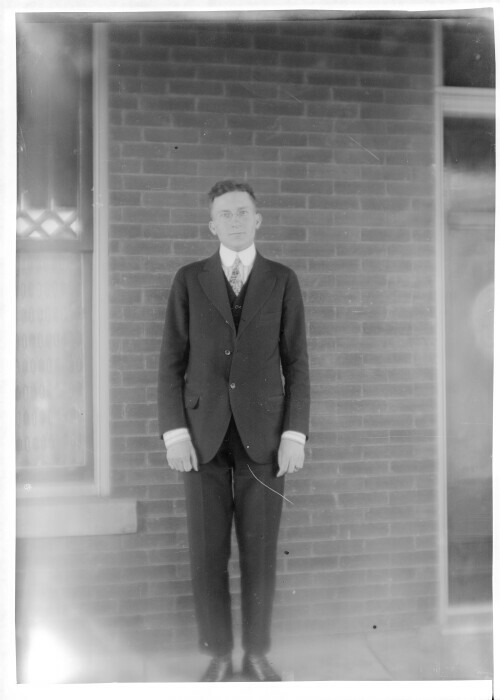 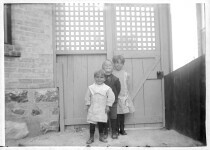 These are probably Casad relatives with the Lorentzen children, in the side yard of 521 Randolph Dr. 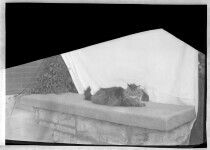 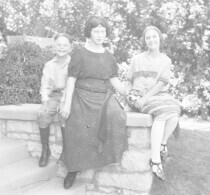 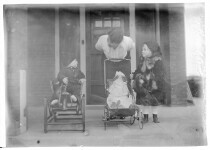 This is probably Mrs. J. W. Lorentzen with two of her children, on the front porch of 521 Randolph Dr. 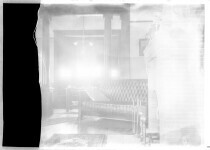 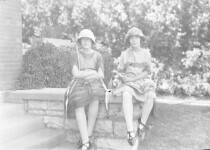 This photograph is believed to be inside the Lorentzen home at 521 Randolph Dr.
Two girls wearing hats sitting on wall - El Paso, Texas. 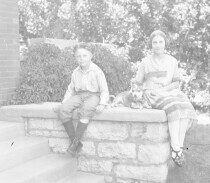 Lorentzen family or friends seated on the wall in front of 521 Randolph Dr.
Lorentzen family members or friends with pet dog, on the porch of 521 Randolph Dr.